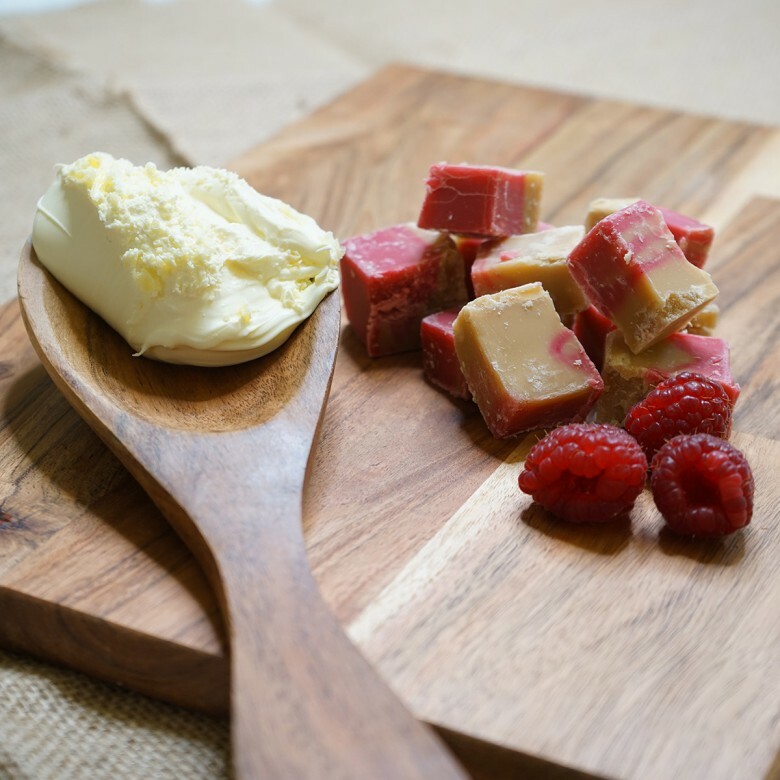 Raspberry Ripple Fudge – Taste the soft sweet flavours of freshly picked summer time Raspberries rippled together with the creamy soft sugary fudge, handmade in a traditional way this method of ripple the fudge gives it a all round delightful flavour. Ingredients list: sugar, MILK, glucose syrup, palm oil, butter, salt, flavourings E122. Raspberry Ripple Fudge is available in two sizes; a 150 gram bag or a 450 gram box.